The Pew Research Center recently published the results of a survey studying technology use among adults ages 65 and older in the United States. They found that while technology adoption is slower among senior citizens, the rate of technology use among seniors is growing. The percentage of seniors using technology has increased dramatically in the past few years. Two-thirds (67%) of the seniors that were surveyed use the internet, and half (51%) report that they can access broadband internet in their homes. About 2 in 5 (42%) seniors reported that they own smartphones, up from about 1 in 5 (18%) just four years ago in 2013. The number of seniors that own tablets has also doubled since 2013, up to about one-third (32%). 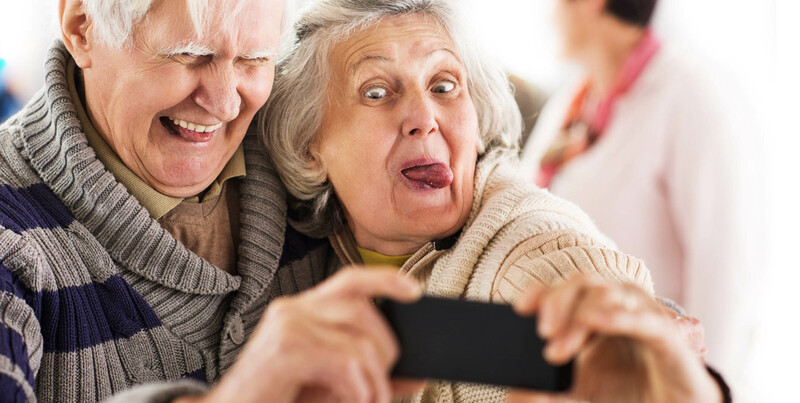 Social media use among seniors has increased as well, with about a third (34%) of seniors reporting that they use social networking sites, up from about a quarter (27%) in 2013. Despite these gains, technology adoption among seniors remains lower than among those ages 18 to 64. This may be due to a lack of confidence when it comes to using new technologies – only about a quarter (26%) of those ages 65 and older report feeling confident when using smartphones, computers, or other electronic devices, while roughly a third (34%) describe themselves as having little to no confidence with these devices. Senior citizens are also more likely to need help setting up new devices or need someone to show them how to use it, with about three-quarters (73%) of seniors reporting that they often need assistance. This report reveals that there is clearly still a need for the technology assistance and classes that many libraries already offer to seniors, and perhaps even more of an opportunity for librarians to step in and help seniors become digitally connected. For more information about demographics and attitudes towards technology use by seniors, the full report can be found here.